Earlier this week, I had the opportunity to address the House Emerging Issues Committee as they considered HB 1468 – Constitutional Carry legislation for Missouri! The Missouri Constitutional Carry Bill would restore the right of every law-abiding Missouri citizen to carry a gun to protect themselves and their families — WITHOUT going through a bunch of bureaucratic rigmarole! This is the way it’s done in Alaska, Arkansas, Arizona, Maine, Vermont, Wyoming – and neighboring Kansas enacted this law just last year! 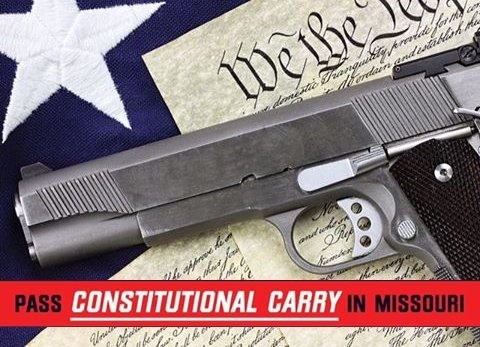 Constitutional Carry is on the march in 20 other states — including right here in Missouri. We’ll have more on this bill for you next week, but for now, make sure you’re involved in this fight by emailing your legislator and insisting that he or she co-sponsor this legislation! Once you’ve contacted your legislator, please consider chipping in $10 or $25 to enable the Missouri Firearms Coalition to enable us to mobilize as many gun owners as possible! I’ve included the testimony that I gave before the Committee below, for your consideration. P.S. 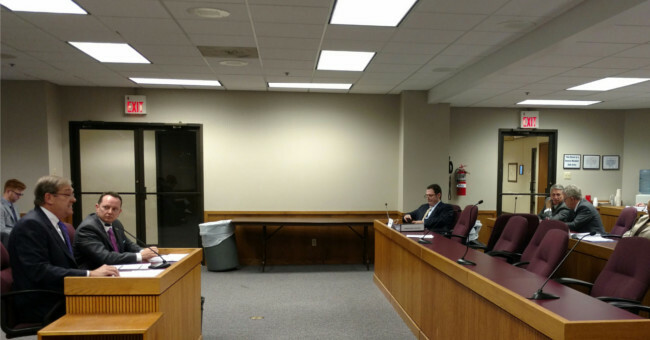 Earlier this week, I testified in front of the House Emerging Issues Committee as we work to advance Constitutional Carry legislation for Missouri! I have included my prepared statement for you below. Make sure that your voice is being heard – email your legislator TODAY and insist that he/she co-sponsor this legislation, HB 1468! Once you’re done, I hope you’ll consider chipping in $10 or $25 to enable me to mobilize as many Missourians as possible! My name is Dr. Curt Frazier. My wife Jana and I, and our children, live in Fair Grove. For over 31 years, I’ve been an ER Surgeon – the last 24 of which were spent in Missouri. Currently I practice in SW Missouri, but today I’m pleased to address you on behalf of the members of the Missouri Firearms Coalition – where I serve as Chairman of the Board. The Constitutional Carry legislation you have before you is, at its core, a simple concept – if you’re legally allowed to possess a firearm, you’re legally allowed to carry that firearm for any lawful purpose with no additional permits, fees, government mandated training, or bureaucratic paperwork required. In short, we believe that the right to keep and bear arms is a God given right, guaranteed to us in our Constitution. And while we strongly encourage our members to receive the highest quality training available, we do not believe that this should be a requirement before someone can carry a firearm to defend themselves or their loved ones. Constitutional Carry law would make the permit system optional. 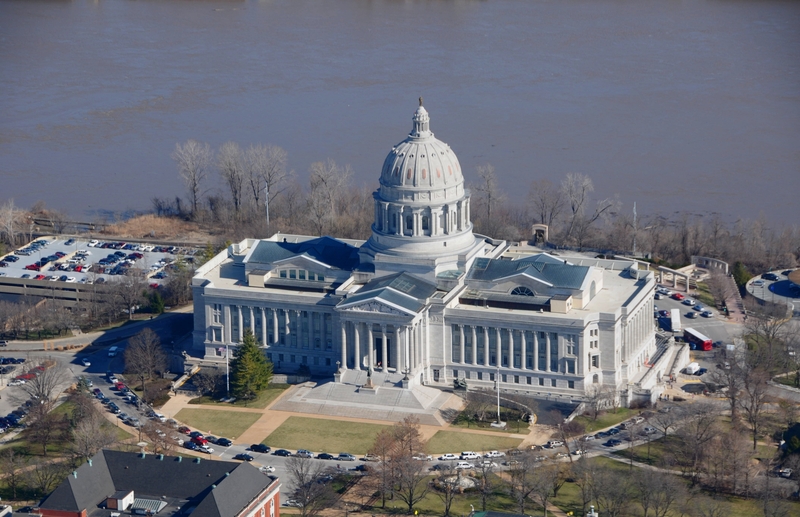 If a Missourian wants to obtain a permit, for reciprocity purposes, they would continue to be able to do so as the current ‘shall issue’ law would remain unchanged. But they would not be required to. It is important to note that all of the current disqualifiers on owning firearms at the Federal and State level would remain in effect – Constitutional Carry would not allow criminals any ability to own or carry firearms while committing criminal acts. 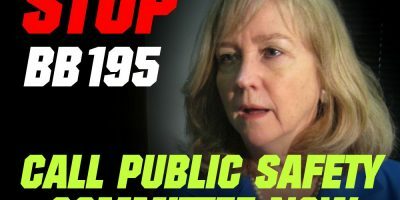 Some will naively say that by making the permit process – and the accompanying background checks – optional, that we’re going to see an uptick in crime. But that’s just not the case. The criminal who murdered 9 people in the Charleston, South Carolina church last year passed a background check. The criminal who murdered 12 people in the Aurora, Colorado movie theater in 2012 passed a background check. The criminal who murdered 13 people in the Naval Yard shooting in 2013 passed a background check. Both of the Ft. Hood shootings, the Virginia Tech shooting, the Tucson shooting that injured former Congresswoman Giffords – all of the murderers in these cases bought their guns legally and passed a background check. Clearly, the regulations and restrictions that are in place currently are not stopping violent crime and only serve as barriers for law abiding citizens who are trying to possess and carry firearms for self-defense. In fact, studies just last year from the Crime Prevention Research Center’s Annual Report would seem to indicate that states with Constitutional Carry laws have lower crime rates than states with permit systems – simply because criminals know there’s an even greater chance that a would-be victim may be armed. The good news, is that Constitutional Carry law is being enacted in more and more states. Last year alone, neighboring Kansas and Maine joined states like Arkansas, Vermont, Wyoming, Arizona, and Alaska in making carry permits optional. This legislation passed the House and Senate in West Virginia last week, passed the Senate in Colorado last week, and is currently introduced and under consideration in states like Idaho, Ohio, Georgia, Iowa, Minnesota, Louisiana, Virginia, Michigan, and Indiana. It’s time that Missouri take what is clearly the next step in defending the 2nd Amendment at the state level by enacting Constitutional Carry legislation. On behalf of the members of the Missouri Firearms Coalition, I would urge this body to advance this legislation out of this committee as is, with no weakening amendments, for eventual consideration by the full House.